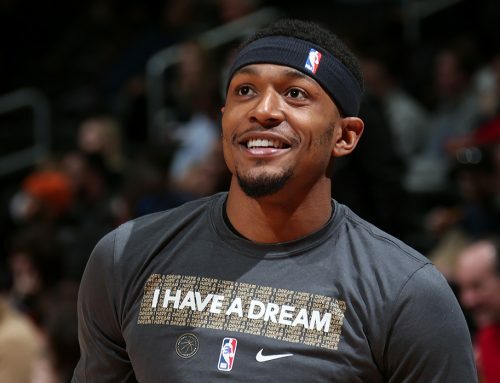 Bradley Beal and the Washington Wizards defeated the Memphis Grizzlies 135-128 Saturday, notching their third victory in the past four games. Panda finished the game with 40 points for the second consecutive night. The two-time All-Star put Washington’s postseason push right back on track following a loss to the Charlotte Hornets on Friday night by shooting a season-high 70 percent from the floor and nailing a career-high nine three-pointers against Memphis on Saturday. 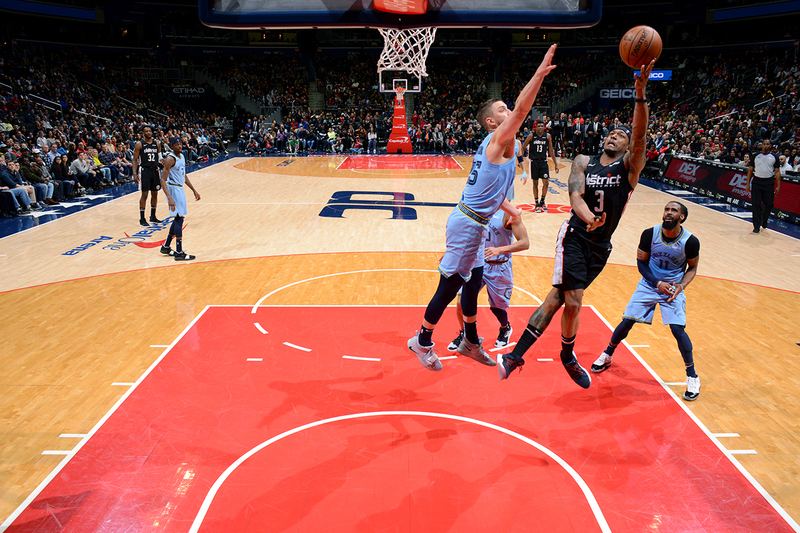 Beal went 12-for-17 from the field (9-for-12 3PT) after shooting 15-for-29 Friday against the Hornets. He added seven assists, five rebounds and two steals. On the heels of his scoring output over the weekend, Panda sits 10th among the NBA’s points per game leaders. Beal started the game by dropping 16 points on 5-for-6 shooting (4-for-4 3PT) in the first quarter. Beal countered Memphis’ offensive production by combining to score or assist 20 total points immediately following a made basket by the Grizzlies. The Wizards trailed 35-37 after twelve minutes. With Beal starting on the bench in the second quarter Washington fell behind 45-54. 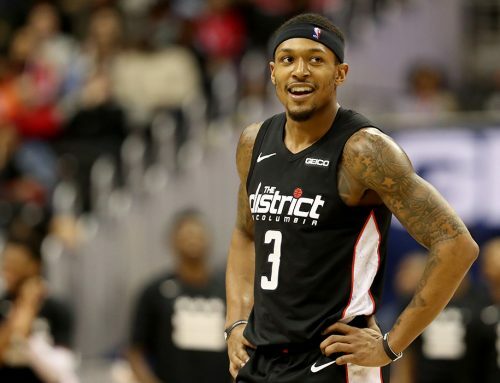 But after checking back into the game with eight minutes remaining, the Wizards proceeded to go on an 8-0 run, capped by Beal’s fifth three-pointer of the half, which cut the Memphis lead to one. Brad and company trailed 69-71 after a high-scoring first half. 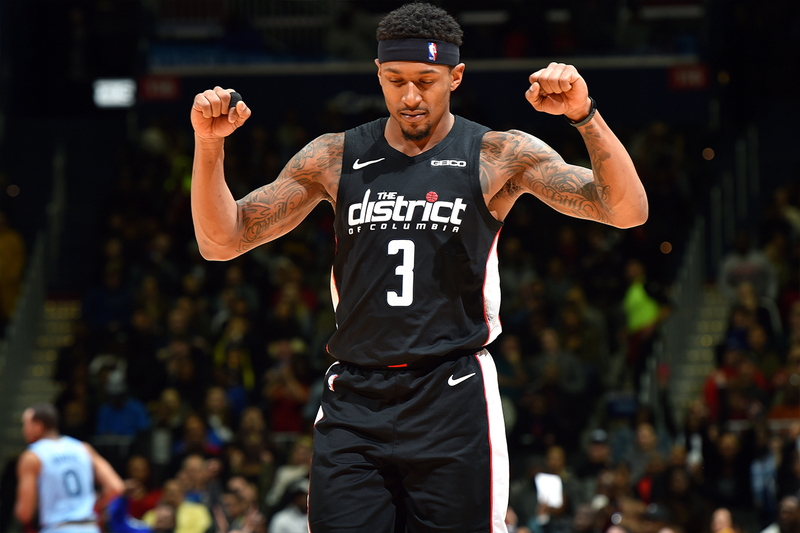 Beal continued utilizing his scoring touch in the third, scoring 14 points on 3-for-4 shooting from deep while also attacking the basket, drawing fouls inside and going 5-for-6 from the charity stripe. Washington entered the fourth leading 105-103. Midway through the fourth, up two, Panda scored five consecutive points to push the Wizards lead to seven, 121-114, with 5:09 remaining. Mike Conley of the Grizzlies kept his side alive throughout the night by scoring 28 points and dishing out 12 assists. A 26-foot three from Conley cut Washington’s lead to three with 47 seconds left in the game and put the pressure on the Wizards to score. Beal answered by converting a contested layup as the shot clock expired on the ensuing possession. The six-year pro received a bounce pass from Thomas Bryant after cutting inside from the three-point line and sealed the victory for Washington. “At the end of the day, I want to make the playoffs and I’m sure everybody else does too. We’re not out of it until the end of the year comes, the last game gets done and over with. We’re going to keep fighting and pushing because we’ve got a chance. 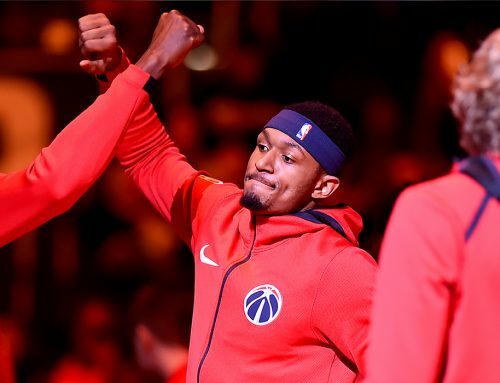 It’s going to be tough, but if we play the way we’ve been playing the last couple games, I think I love the direction we’re heading in,” Beal said. The Wizards’ five-game homestand ends Monday with a matchup against the Utah Jazz. The game can be seen on NBC Sports Washington with tip-off scheduled at 7 p.m. ET.